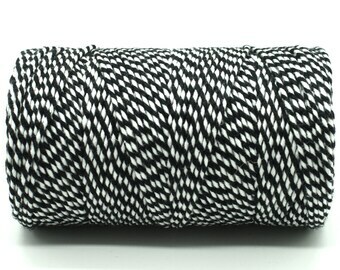 Black and white bakers twine. Soft cotton striped string British made. Multiples of 10 meters. 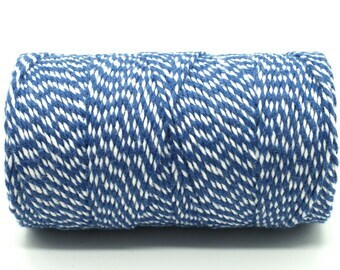 Blue and white bakers twine. Soft cotton striped string British made. Multiples of 10 meters. 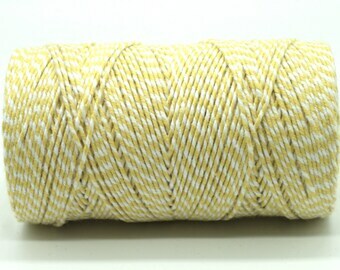 Yellow and white bakers twine. Soft cotton striped string British made. Multiples of 10 meters. 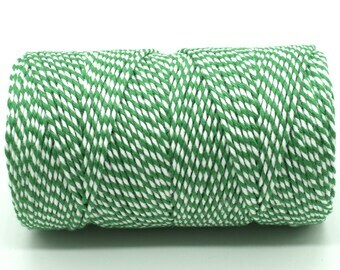 Emerald green and white bakers twine. Soft cotton striped string British made. Multiples of 10 meters. 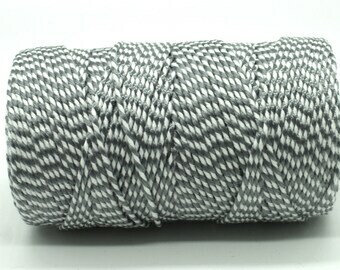 Silver grey and white bakers twine. Soft cotton striped string British made. Multiples of 10 meters. 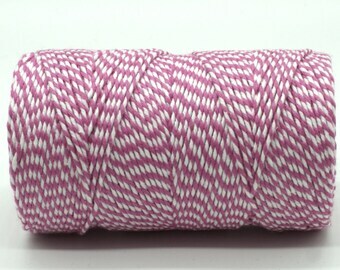 Fuschia pink and white bakers twine. Soft cotton striped string British made. Multiples of 10 meters. 6 7.5 m sprockets of baker's twine cotton thread.